In this episode we wrap up the year that was 2009 in Perth Theatre and look forward to 2010. Mischa Ipp continues on as co-host and James interviews musical theatre performer Iskandar Sharazuddin. We also finish off the podcast with a Q&A session from 'Forget Me Not & Refractions' recorded on a cell phone, gorilla styles! Enjoy! 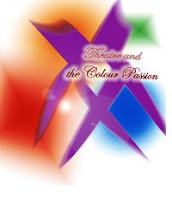 This is the podcast for Theatre and the Colour Passion a Facebook group/club that wants to expand the reach of theatre, Everywhere. It's like a Book Club except we go to Theatre once a month and discuss it afterwards with a Q&A and a podcast with some of the members. We're starting here in Perth, Austalia, joining together once a month to see a designated theatre performance, with a Q&A and group discussion afterwards. Members are encouraged to bring along a 'theatre newby' - someone who doesn't often go to theatre or a 'theatre virgin' - someone who's never been to the theatre. Subscribe to Jimmerish FM through iTunes.